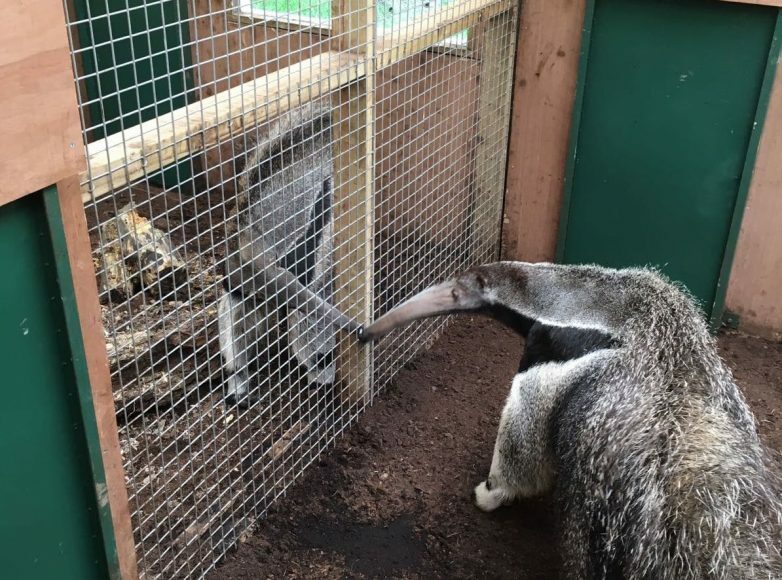 We’re bursting with excitement – a new male giant anteater has arrived at DZG and he’s called Bubbles. The friendly male arrived from Longleat Safari Park in Wiltshire on Monday and he’s already sneaked a kiss from our two-year-old female Romy. And he’ll soon be turning one so we’ll have to give him a special celebration at DZG on June 19. To start with Romy and Bubbles will live in separate parts of the paddock and will gradually be given more access to each other if the introduction is successful. The first step was visual access so the two could have contact by rubbing their noses together through mesh, a beautiful moment caught on camera by DZG Assistant Curator Jay Haywood. He said: “Introducing Bubbles to Romy will be a slow process but it is going very well so far. If things remain positive as we give them more contact we will look to put them together and hopefully they will breed in the future. 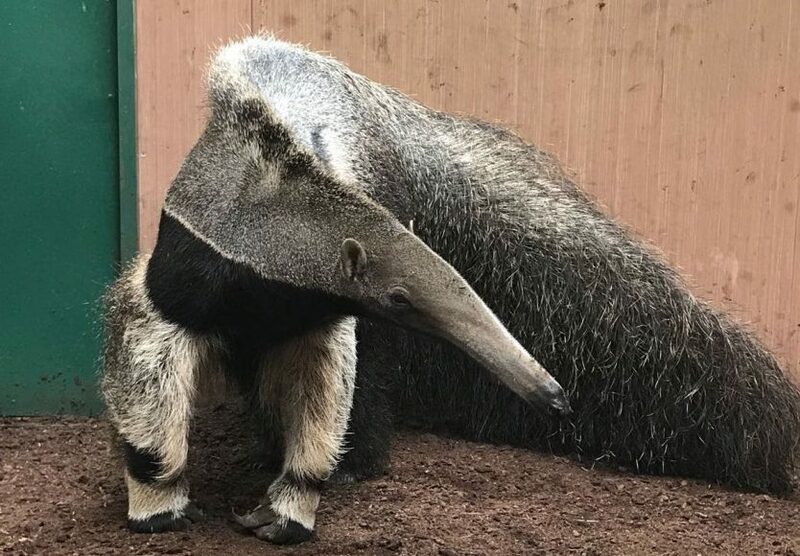 A distinctive solitary species, found in the tropical forests and grasslands of Central and South America, anteaters have no teeth and use their long tongues, which can project more than two feet, to eat up to 35,000 ants and termites a day in the wild. However captive anteaters eat a gruel supplement mixture packed full of meat, maize, fish oil and vitamins and minerals. Listed as vulnerable on the IUCN Red List since 2010, the population has decreased by at least 30 per cent over the past decade, due to habitat destruction as well as being killed for food and pests. A very warm welcome Bubbles! Previous: Dads go free to DZG!